A traditional cataract surgery with a standard IOL is a common surgery that typically provides excellent results and is usually covered by insurance. Dr. Thomas Byrd uses a thin keratome blade to make an incision and then places a monofocal IOL (intraocular lens). This outpatient procedure typically causes little, if any, discomfort and patients usually recover quickly. 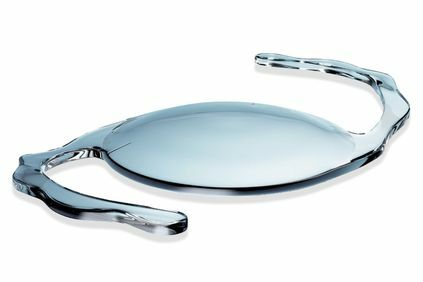 Patients who undergo traditional cataract surgery with a standard IOL at our Detroit, MI, practice will require glasses or contact lenses after surgery as the intraocular lens can only focus at one distance. Dr. Byrd performs traditional cataract surgery using manual instruments. The doctor has vast experience with this procedure, performing over 15,000 successful cataract surgeries over the years. The surgery typically takes less than 30 minutes to complete, and the doctor performs it as an outpatient procedure. You will receive a mild sedative, and the doctor uses a topical anesthetic to prepare your eye. Dr. Byrd then uses a very thin keratome blade to make an incision on the side of your cornea. The doctor has vast experience with traditional cataract surgery with a standard IOL, performing over 15,000 successful cataract surgeries over the years. The doctor will then insert a small probe and use ultrasound waves to break up the lens, a process called phacoemulsification. He will vacuum out the particles of the old lens, then use the same incision to insert your new intraocular lens. Most patients experience little or no pain during the procedure but may feel a slight pressure. The incision usually seals itself and requires no sutures. Dr. Byrd performs cataract surgery on one eye at a time, generally within two weeks of each other, and patients typically experience improved vision fairly quickly. For some patients, the doctor may suggest laser cataract surgery. While not usually covered by insurance, the use of lasers allows the doctor to make a more precise incision and makes the process of breaking up the lens easier and gentler on the eyes. This technology also allows the doctor to completely customize the surgery for both of your eyes. Dr. Byrd uses a standard intraocular lens when performing traditional cataract surgery. This monofocal implant has the ability to focus only at one distance, meaning patients will require glasses or contact lenses for close-up tasks after surgery, especially for reading and driving. Patients who have astigmatism will need glasses or contacts for both near and distant focus. Doctors have used these lenses for decades and consider them the industry standard for maintaining long-distance vision after cataract surgery. Cataract surgery is one of the most performed and highly successful eye procedures, and has enjoyed a great success rate over several decades. Over 90 percent of cataract patients have reported improved vision after the surgery. Cataracts will not recur after removal, making the results of the surgery permanent. Dr. Byrd typically will not recommend cataract surgery until it begins to affect your daily activities. To find out if surgery can help you, contact our office today and schedule a consultation with the doctor.